we have the best food around!!! 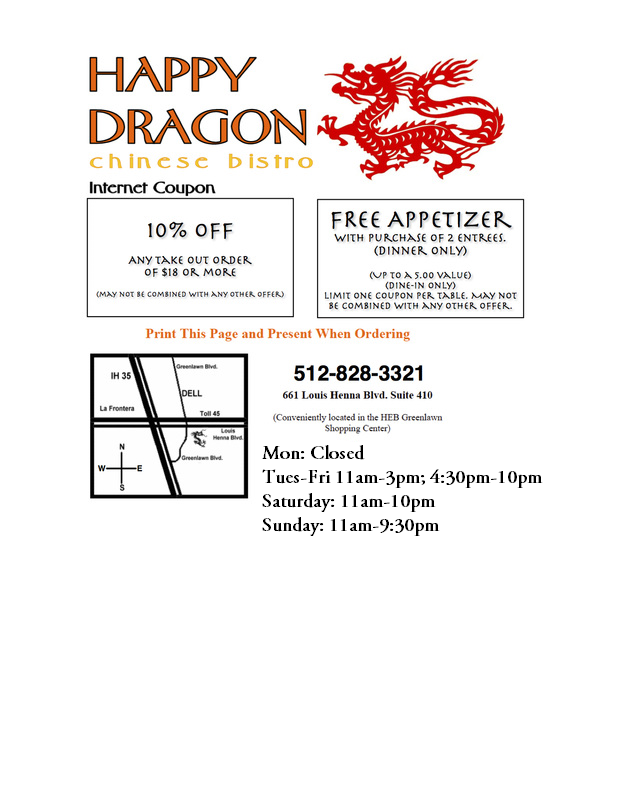 Locally owned and an award winning restaurant, Happy Dragon Chinese Bistro is, by far, an excellent dining experience. Come on in for a delicious meal!